Found on Madison Square, the Sorrel-Weed House has gained a reputation as the most haunted spot in a city known for ghouls. 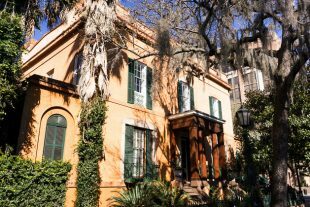 The house has been the subject of just about every sort of “Ghost Hunting” reality show that exists, and even offers visitors the chance to take a spooky nighttime tour. But Jürgen and I decided to check it out during the day, on an architectural tour.